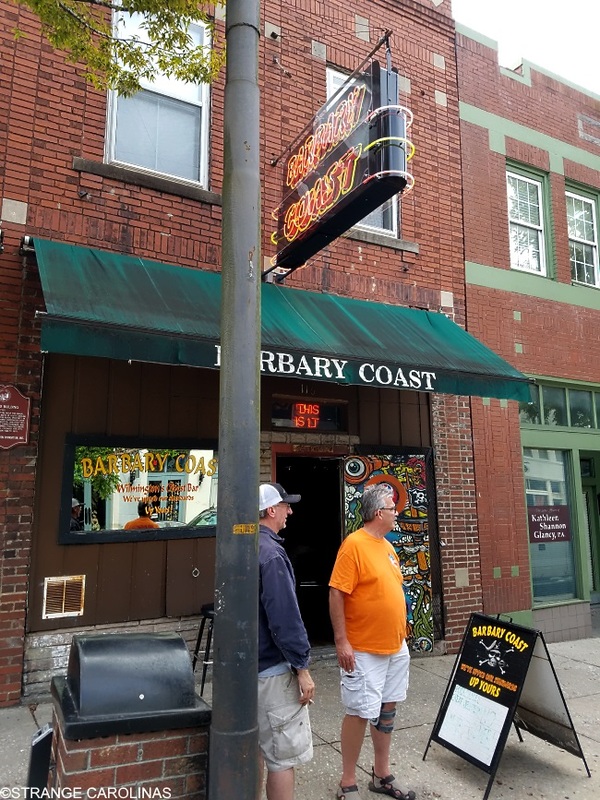 Barbary Coast claims to be Wilmington's oldest bar. 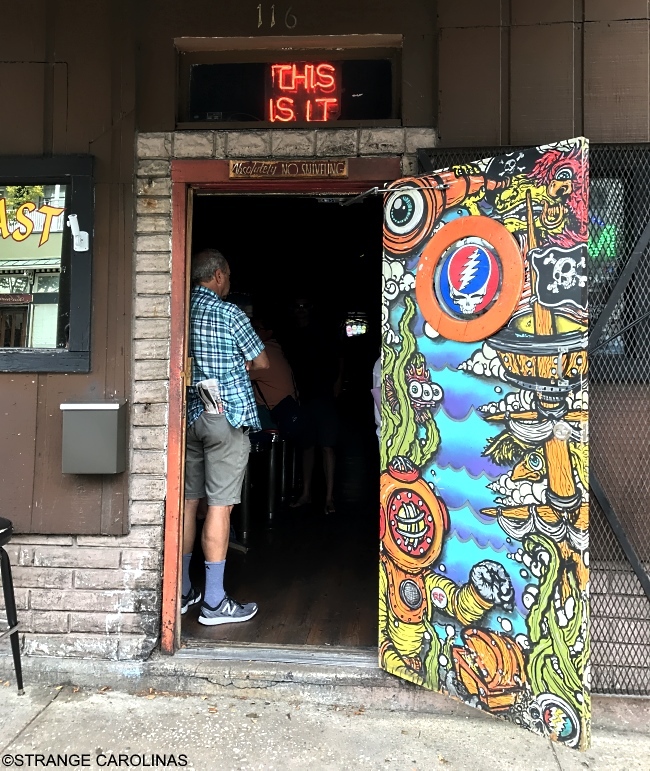 We can't vouch for that, but we can tell you it's definitely one of the most interesting bars in not only Wilmington, but all of North Carolina. Barbary Coast is a dive bar in every sense of the term. In addition to being a great place to duck in from the Wilmington heat to grab a cold one, Barbary Coast was the filming location for the exterior of Dean Stockwell's weird apartment/brothel/drug den in Blue Velvet, and even boasts the neon "The Is It" sign from the film. Barbary Coast is also home to three murals from Wilmington artist Rob Fogle. 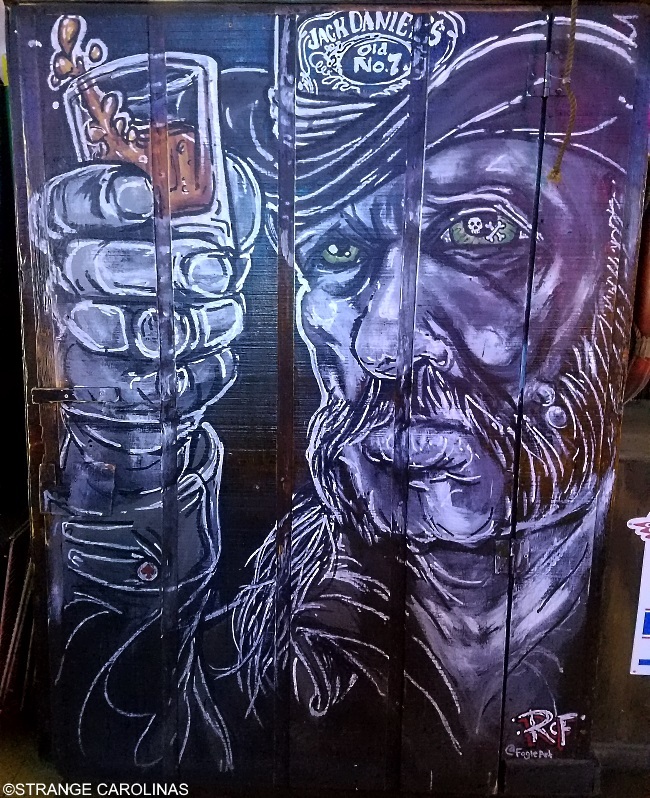 He painted the inside of the front door, a large mural near the entrance on the right, as well as the large Lemmy mural.